Rolls-Royce Motor Cars announced that a new Technology and Logistics Centre will be built at Bognor Regis, close to the Home of Rolls-Royce at Goodwood, West Sussex. The new 30,000m2 centre will consolidate a number of current logistics functions and allow for future expansion. The Technology and Logistics Centre will be located on the Oldlands Farm Business Park on the northern edge of Bognor Regis, eight miles from Rolls-Royce Motor Cars. The Centre will be ideally situated to take advantage of the forthcoming Bognor Regis Northern Relief Road, due to open in 2015. Around 200 people will be employed at the Centre, with a number of new roles created in addition to those transferred from existing logistics functions. 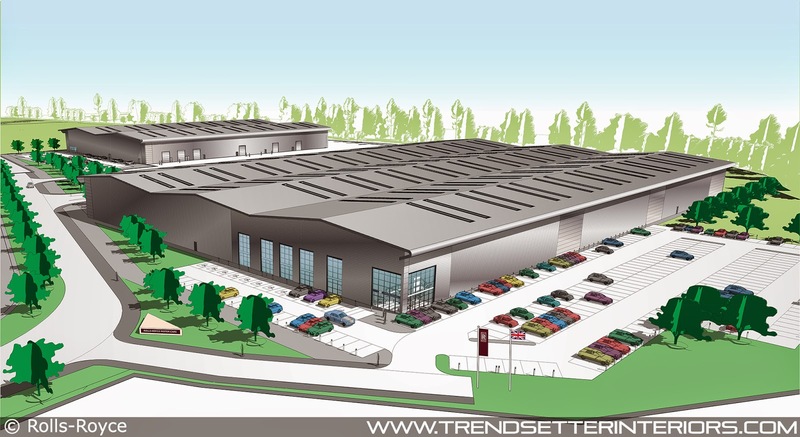 The Technology and Logistics Centre is planned to be fully operational in early 2016. The site has been identified by Arun District Council as part of its 'Enterprise Bognor Regis' initiative. The area is being developed as a new premier business location in West Sussex, reserved for mixed office, industrial and supporting development to deliver a new generation of buildings in a high quality environment to sustain both newly established and growing businesses. 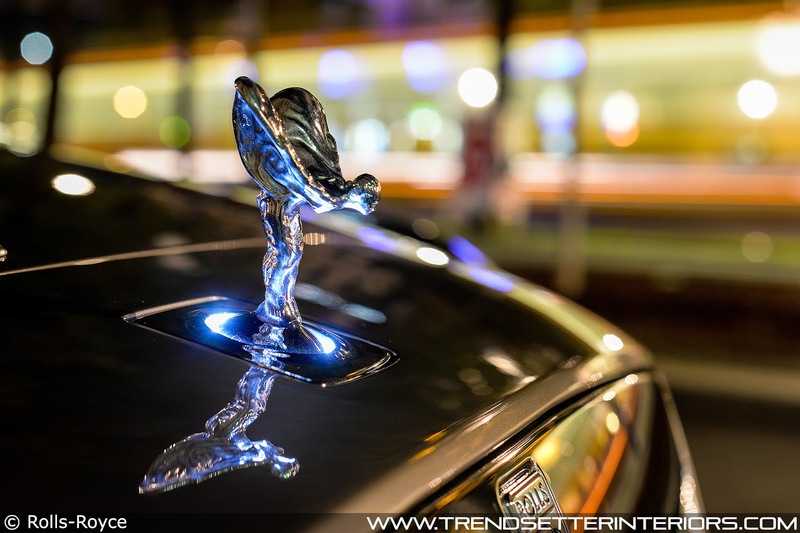 Rolls-Royce will be the first major business to take advantage of the initiative. The Technology and Logistics Centre will consolidate three current operations - an inbound warehouse for production parts; a distribution centre, including an inbound body store and finished car store and a workshop for car preparation. The Centre will be managed on behalf of Rolls-Royce Motor Cars by an external logistics provider. Torsten Müller-Ötvös, Chief Executive Officer for Rolls-Royce Motor Cars, said, "I am delighted to announce our new Technology and Logistics Centre, which reflects the sustainable development and ongoing success of our business. Every Rolls-Royce motor car is built at the Home of Rolls-Royce at Goodwood and this new facility will provide the required local logistics support for our current and future models." He continued, "Rolls-Royce is a British manufacturing success and we remain fully committed to building our future here in West Sussex." Business Minister, Matthew Hancock, said, "This terrific new centre at Bognor Regis will give a huge boost to the local economy, and safeguard 200 jobs. It's testament to one of our Great British success stories, Rolls-Royce, and its valued contribution to UK manufacturing." Nick Gibb MP for Bognor Regis & Littlehampton and Minister of State for Schools, said, "To have attracted a company of the calibre of Rolls-Royce to Bognor Regis is a major coup for our town. The association of Rolls-Royce with Bognor Regis, Chichester, Goodwood and West Sussex can only help the long term economic prosperity of the area. Credit and thanks should go to Arun District Council's leadership and hard work and the Board of Rolls-Royce Motor Cars for the opportunities this new facility will deliver for our town." Councillor Mrs Gill Brown, Leader of Arun District Council, said, "This is exceptionally good news for Bognor Regis and the district as a whole. We are delighted that Rolls-Royce has chosen to base their new Technology and Logistics Centre at Enterprise Bognor Regis. The council is committed to supporting business growth and the creation of more employment opportunities in the area. The foresight shown by the council to retain this strategic site for employment uses and progress a Local Development Order is evidence that we are very much open and ready for business. This is a significant step forward for the regeneration of Bognor Regis and I am confident more will come in the near future. We welcome Rolls-Royce and look forward to future opportunities to work together." Ron Crank, Chief Executive of Coast to Capital Local Enterprise Partnership, said, "We very much welcome this new investment and further expansion by Rolls-Royce in West Sussex. It will help our region to remain at the cutting edge of automotive design, logistics and manufacture, whilst creating opportunities for local people to develop careers with a globally renowned company." A new trend concept, new themes and a new kind of presentation: the Heimtextil management team introduced the new Heimtextil 'Theme Park' in two discussions broadcast around the world live on 1 September 2014. 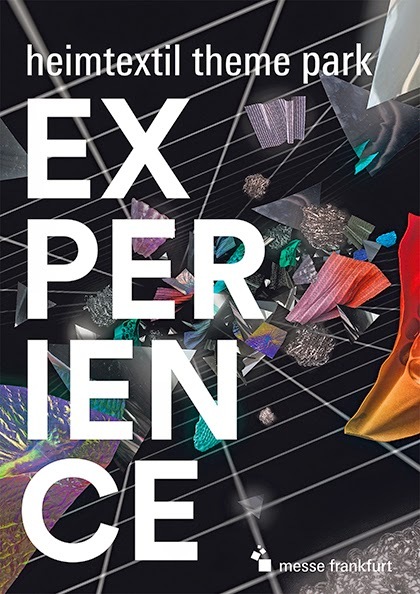 'Experience' is the superordinate Heimtextil trend theme for 2015/2016. "Textiles are the perfect vehicle for inspiring, sensory and interactive experiences", explained Anne Marie Commandeur of Stijlinstituut Amsterdam during the conference at Frankfurt Fair and Exhibition Centre. The conference also provided the setting for the presentation of the new Heimtextil Trend Book. "In both the book and the 'Theme Park' at the fair, we present a selection of spectacular projects, which can be experienced with all the senses." For the first time, the Trend Book comes with 'interactive print' elements, which enable readers to obtain supplementary information in digital form by scanning the parts of the book marked and then watching animated images on their smartphone or tablet. Additionally, the trend prognoses are supported by an extensive website with detailed background information and project presentations at www.heimtextil-theme-park.com. The first part of the Trend Book revolves around social, political, technological and artistic themes - all key themes that have a decisive influence on designers. The second section looks at trends that are set to have a direct influence on interior design and home textiles in 2015 and beyond. To this end, the trend experts proposed four design themes: 'Sensory', 'Mixology', 'Discovery' and 'Memory'. The third part of the book is devoted to color innovations and presents worlds of color corresponding to the four design themes. Inter-cultural exchange Variety is trumps. Cultural fusion has given rise to a modern ethnic heritage. From now own, experimentation and the interaction of different identities is the name of the game. Patterns, prints and colors collide almost chaotically with each other. African tribal design meets 3D rave motifs, retro with futuristic, digital with organic. At the same time, people are enthusiastic about recycling and product hacking. New applications are found for waste materials with due consideration being given to material properties. The result is valuable design objects and - no less important - the feeling of independence from conformity of any kind. Predicting the future Designers are taking ever greater account of our planet's valuable resources. They look over the shoulder of astrophysicists and investigate the properties of lunar rock and meteorites, the haptic qualities and dark strength of which are particularly fascinating. Observing the cosmos and the micro-cosmos, they come across dark, light-absorbent space black and stellar coruscation. Light plays a key role in this connection: it dazzles and illuminates, it sketches and plays tricks with the eye. Reflection and re-evaluation People strive for a simpler, purer and more ethically correct way of modern life: away from consumption stress and rigid must-haves - towards favourites and a genuine feeling of well-being. The materials that decorate life together in the home will be honest, useful fabrics, e.g., denim, wool and linen. Familiar patterns stimulate the capacity for recall. Tomorrow's designers will combine handicrafts and tradition with an innovative sense for modernity whereby their software abilities are an additional benefit. Thus, handicrafts and technology can join forces to create new, timeless values. 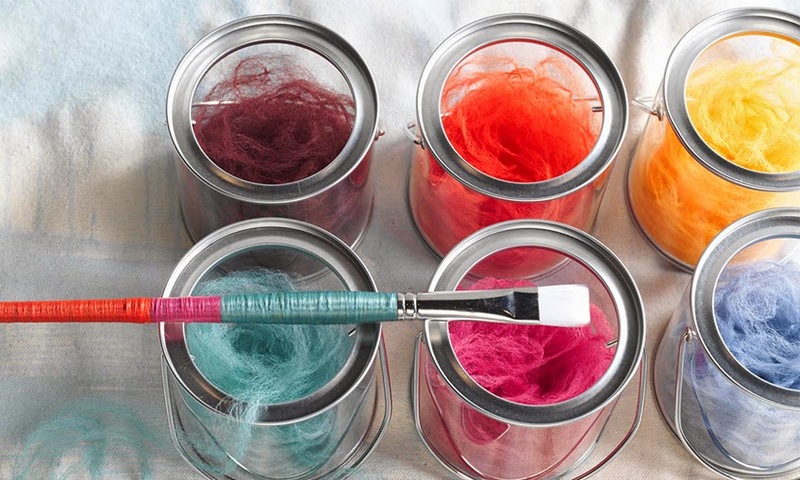 [New York], September 3, 2014 - INVISTA's Antron® carpet fibre has launched an interactive color palette tool that allows designers to create custom palettes using colors taken from its Autumn/Winter 2014/2015 Color Trend forecast created by Global Color Research. Global changes have taken place and economics have dipped and dived, revealing altered ways of living and working. This push and pull state has brought divided directions to the forefront as we adapt to a new state of play. But what's significant is that what has been before will never be the same again. Having survived an era of self-imposed austerity a vivid palette of punchy tones drives an optimistic attitude to the future. 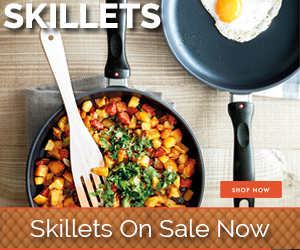 Upbeat colors reveal a trend that is creative and innovative as 2014 spells the start to economic global recovery. However this isn't a return to mass produced design, past mistakes have been noted and new creative approaches to sustainability and materials bring elements of surprise and delight to our living environment.